Family and friends have expressed their shock and anguish at the tragic death of a little girl who was mauled by a rottweiler on Saturday. 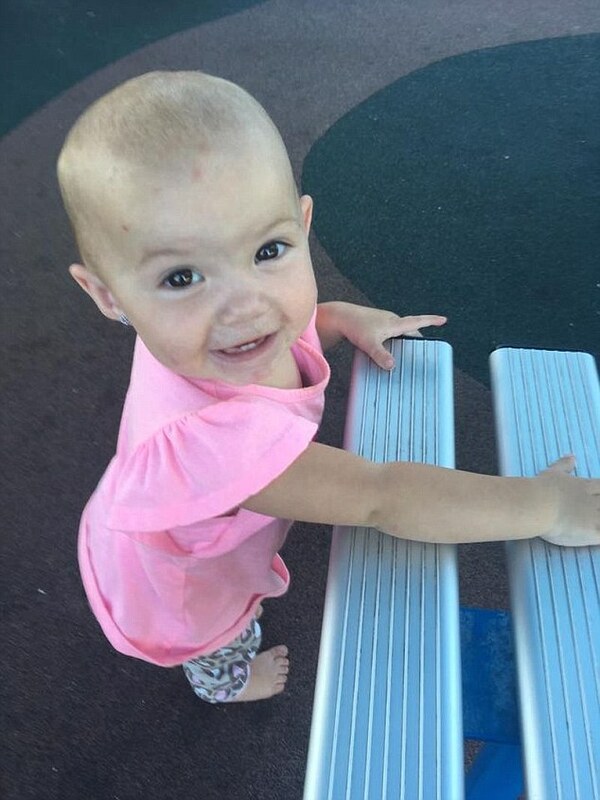 Twelve-month-old Kamillah Jones was in a stroller being pushed by her mother along a street in Inverell, in the state’s northwest on Saturday afternoon when a dog attacked her. Relatives said the pair were simply on their way to visit nearby relatives just a few streets away. It’s understood the dog jumped a fence before leaping on Kamillah. It was later seized by Inverell Shire Council rangers and police are investigating the death. A GoFundMe page for the family was set up on Saturday to help with funeral expenses and had last night raised $2000 of its $6000 goal. “A beautiful little Angel grew her wings much too early. On the 3.3.18, little Kamillah was taken home. “She was loved and adored by so many,” friend Alisha Lay wrote when she set up the page. “I am trying to raise funds for my dear friend as little Kamillah’s passing was so unexpected and a tragic accident. We would love to be able to give little Kamillah the goodbye she deserves, but unfortunately (we) did not expect and my friends family are having difficulty coming up with the finances on such short notice. An investigation is now underway by police from New England Police District and a report will be prepared for the coroner. There were 1196 dog attacks reported to NSW local councils from July-September 2017, with 125 children attacked and 36 people hospitalised. There were 1228 dog attacks during the same period last year, according to the Office of Local Government. This story makes me physically ill. I cannot imagine having a child killed right in front of me by an out of control Rottweiler. The guard dogs that are supposed to be keeping their owners safe, that are supposed to be so well trained, are really a DANGER TO EVERYONE! Why do we need these animals in civilized society? Oh, I know! WE DO NOT! Is it ever worth it? People just gotta have these dangerous breeds as pets. They argue and argue that these kinds of dogs are misunderstood and then this happens. Can't imagine how this Grandma feels now. Wish the babies didn't have to keep paying with their lives. Horrific! This baby girl was a blessing to her mother and father but a choice was made that day to keep chickens safe in the dog cage rather than a dangerous dog. No one can understand what the parents are going through let alone the family but although the dog was siezed n put down the owner should respectively own up to what their dog did - no doubt this little girl would be alive today if different choices would of been made. . The breed of dog itself yes was dangerous but its how any dog has been brought up to how he or she will treat others especially children.